Cherry blossom- always a wonderful reminder of spring, and a beautiful symbol for the lovely season as winter fades away. 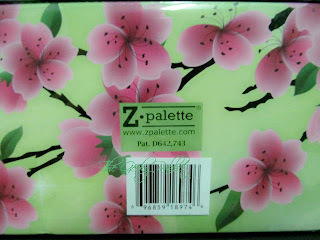 I managed to get the much sought-after Z-palettes with the Cherry Blossom prints! For those who are not familiar with Z-palettes, they are magnetized palettes that come in different oblong shapes (either square or rectangular, doubt there's any round ones) and sizes. The 'base' of the palettes is a sheet of magnet, so it will be able to hold metal makeup pans. 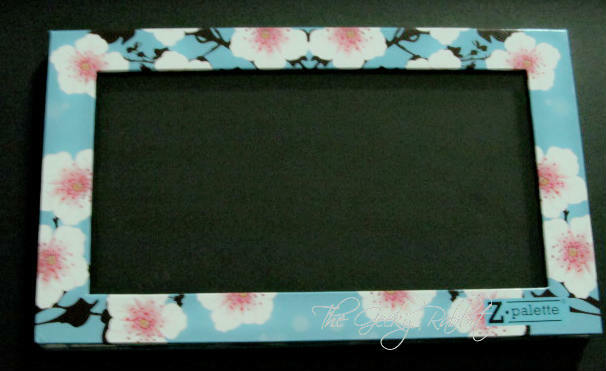 They come in different colors as well, with various fun prints too. My favorite ones are these blue and green cherry blossom ones. 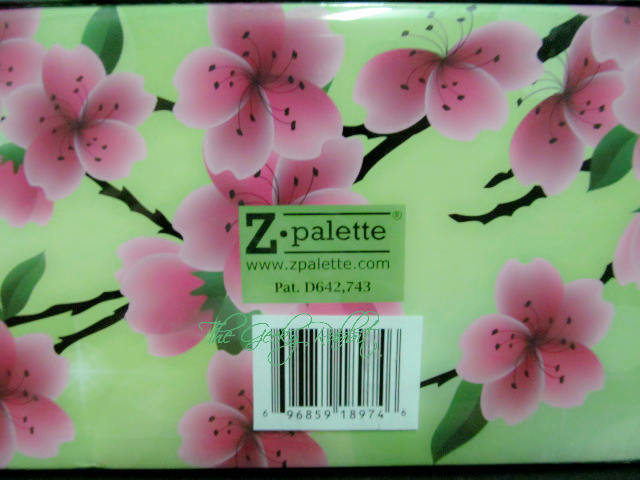 The above two picture shows the back of the Z-palettes. I love the pink and white flower- can't really decide which I prefer though! I only have one of each pattern, so I can't confirm whether the prints would be the same for all palettes. Perhaps the motif is cut out from a much larger pattern? Not too sure, but nonetheless extremely gorgeous! 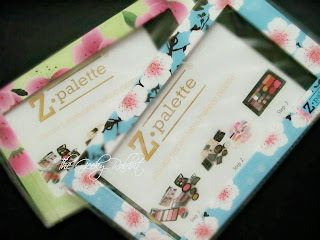 The palette comes with an instruction card, with brief steps on how to use the palette. On the reverse side, it gives very detailed instructions on how to 'depot' your makeup. I'm also very grateful that they included these metal stickers! There's 20 of these circular metal discs with a peel-off adhesive. This is great for makeup pans that are not metallic! The disc is 2.5cm (1inch) in diameter. 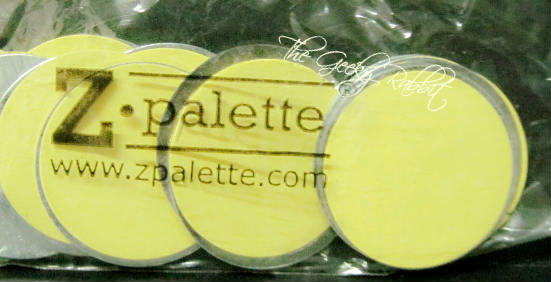 It should be suitable for most regularly-sized eyeshadow pans, blush pans and definitely powder pans. Here is an overview of how the inside looks like- black magnet- after all the little peripherals have been removed from the palette. The cover has a plastic over it so that the contents are see through (as with the first picture, the instruction card is actually placed inside the palette!). The plastic is very sturdy- it is made of thick acrylic, and not flimsy at all. Feels pretty durable! 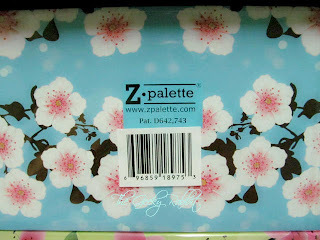 The cherry blossom palettes are considered the large palettes, so here is how it compares with some of the common and popular makeup items. 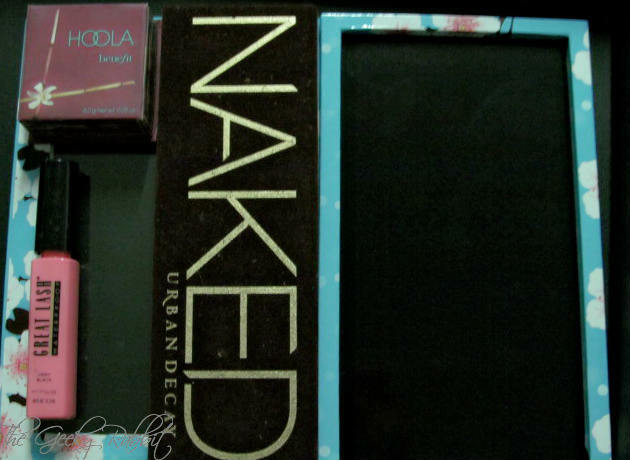 I have used the Naked Palette from Urban Decay, Hoola bronzer from Benefit and Great Lash mascara from Maybelline as reference. According to the website, it measures 20.5cm by 12.5cm by 1.5cm (8.06"L x 4.94"W x 0.56"D) on the outside and 19cm by 10.5 cm by 0.65cm (7.44"L x 4.13"W x 0.25"D) on the inside for the magnet area. It'd be a great palette to bring for traveling. I have yet to fill up mine, but in my estimation one palette is probably enough for a short trip with a reasonable selection of makeup colors. It can even hold flatter and smaller brushes without opening up. I tried putting several types of brushes in it, including brushes from the Sigma Eye Performance Kit, Smashbox eye liner and definer brushes and Bobbi Brown liner brushes. Even the full-sized, long handled ones can fit! Shadow brushes and pencil brushes, however, might be to thick to fit neatly into the palette. 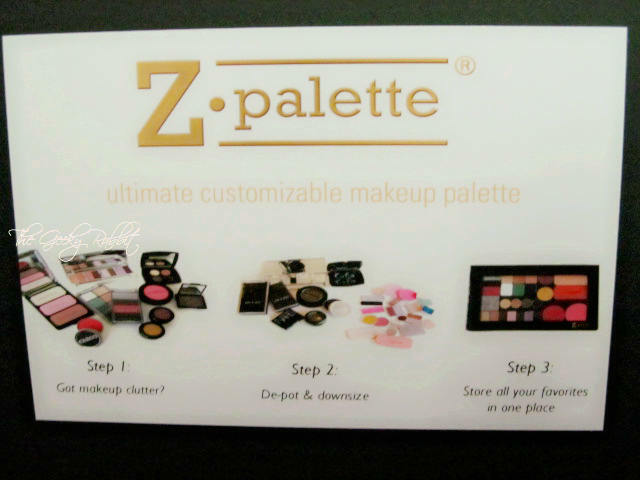 I am extremely excited and impressed with my Z-palettes and can't wait to put them to pull use! Lots of possibilities to customize the contents to your needs. I'm always in for versatile makeup and tools and kits, so this is absolutely awesome!